When Grandmaster Michael Rohde got his master rating at the age of 13, it was clear there was a bright future ahead for him in chess. Mike went to dip in and out of chess for a few years but eventually he would bear down and get his grandmaster title. He was a regular fixture at the top of crosstables in the US back in the 80�s and early 90s. Eventually he slipped out of the chess scene to attend law school, although he would always appear from time to time at some big events. 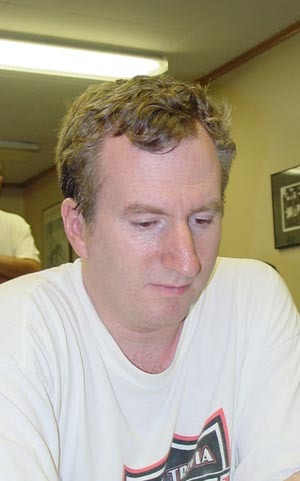 He currently writes the popular Game of the Month column for chess life. I�m sure that there will soon be a game he plays in the NY Masters worthy of publication in his article! Michael has an eclectic attacking style yet his quest to find the best moves often leads to his time running very low and in such time scrambles he often has great difficulty. Sometimes his initiative is powerful enough where the clock is no longer a factor. Rohde is ranked 58th in the USA as of October 2004.